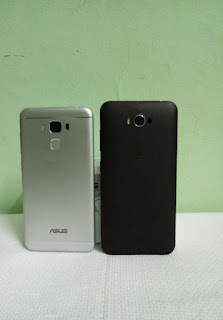 Both devices comes with 5.5-inch Display Zenfone 3 comes with Full HD Display where as Zenfone Max 2016 has a Full HD Display. Zenfone 3 Max is powered by a 1.4 GHz Octa-core Qualcomm Snapdragon 430 processor where as Zenfone Max is powered by a 1.5 GHz Octa-Core Snapdragon 615 processor. Asus Zenfone 3 Max is packed by a 4100mAh battery where as Zenfone Max 2016 is packed by a 5000mAh battery.